Founded in 2002, Adamant Valves is a professional sanitary valves manufacturer specialized in manufacturing a wide range of sanitary butterfly valves and sanitary ball valves. What’s Different in This Blog? Tired of tedious long articles and static pages? Then come to Adamant Live Valves. Here you can find short and concise posts, which give you the knowledge about valves without costing you too much time! Here you can see things clearly and lively with videos and gifs! A valve is a device that regulates the flow of a fluid (gases, fluidized solids, slurries, or liquids) by opening, closing, or partially obstructing various passageways. The majority of valves are used in water reticulation, sewerage, oil and gas, power generation, mining, and chemical manufacturing. * Ball valves, used for on/off control without pressure drop. * Butterfly valves, used for flow regulation in large pipe diameters. * Choke valve, used for high pressure drops found in oil and gas wellheads. * Check valve, allows the fluid to pass in one direction only. * Diaphragm valve, some are sanitary predominantly used in the pharmaceutical and food industry. * Gate valve, mainly used for on/off control, with low pressure drop. 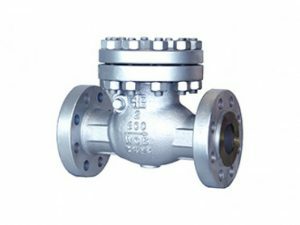 * Globe valve, good for regulating flow. * Needle valve, used for accurate flow control. * Piston valve, used for regulating fluids that carry solids in suspension. * Pinch valve, used for slurry flow regulation. * Plug valve, slim valve used for on/off control but with some pressure drop. What is A Sanitary Valve? A sanitary valve is designed for use in applications requiring clean or sterile processing. Sanitary valves are commonly used in dairy, food, pharmaceutical, medical, and chemical applications. Their common features include easy cleaning, crevice free, and polished contact surfaces. 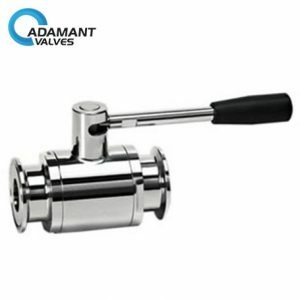 Founded in 2002, Adamant Valves is a professional sanitary valves manufacturer specialized in manufacturing a wide range of sanitary butterfly valves and sanitary ball valves. For more information, please visit our website http://www.adamantvalves.com/.